Why choose Nuffield Health Newcastle upon Tyne Hospital for your hip replacement? At Nuffield Health Newcastle upon Tyne Hospital our experienced orthopaedic surgeons specialise in lower limb joint repair surgery, ensuring that all patients receive the individual care and attention they need, through an individually personalised treatment plan. Our private hospital is conveniently situated in Jesmond, a suburb which is only 5 minutes away from Newcastle's city centre. Our quiet location enables us to provide plenty of free parking, as well as excellent access to public transport. Our hospital has been providing patients in the North East unrivalled primary care since opening in 1973. Our recent £7.5 million hospital refurbishment ensures that patients will receive first-class orthopaedic care through our state-of-the-art facilities and stylish in-patient rooms. 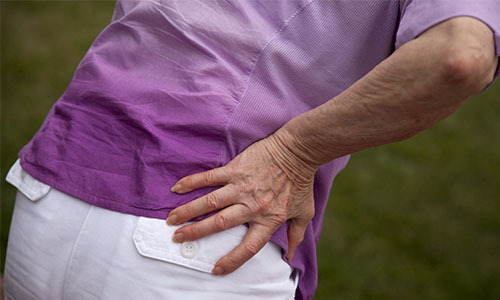 If you are suffering from hip pain and want to discuss your treatment options with one of our consultants in Newcastle, you will need to book a private consultation via our dedicated hospital enquiry team on 0191 281 6131.